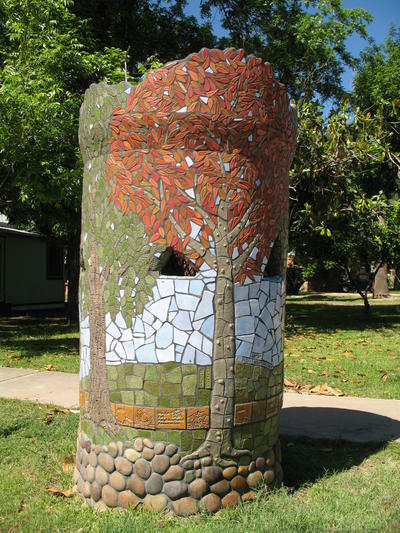 In 2005, residents of the Maple-Ash neighborhood began work with artists Nina Solomon and Chris Rowley and landscape architect Ruben Valenzuela to "beautify" the irrigation standpipes in the neighborhood. The project was funded by a a $12,000 grant from the Maple Ash Neighborhood Association. 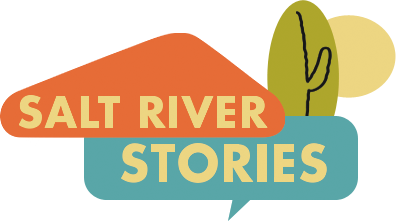 The project celebrates the history of the neighborhood and connects irrigation with the social life of the area. This work is licensed by Arizona State University & Mark Tebeau under a Creative Commons Attribution-NonCommercial-ShareAlike 4.0 International License.